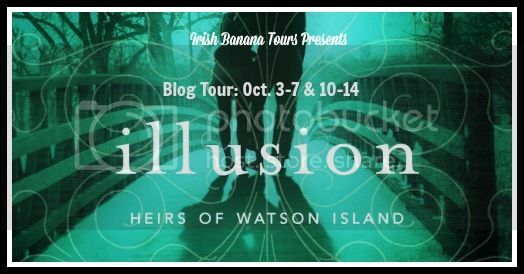 ABOUT ILLUSION: Barrie must rescue her beloved and her family from evil spirits in the masterful conclusion to the Heirs of Watson Island trilogy. Caged by secrets all around her and haunted by mistakes that have estranged her from Eight Beaufort, Barrie Watson is desperate to break the curse that puts her family in danger—without breaking the beautiful magic that protects Watson’s Landing. To do that, she must heal the rifts that have split the families of the island apart for three hundred years, unravel the mystery of the Fire Carrier and the spirits he guards, and take control of forces so deadly and awe-inspiring they threaten to overwhelm her. With the spirits that cursed Watson Island centuries ago awake and more dangerous than ever, she finds an unlikely ally in the haunting and enigmatic Obadiah, whose motivations and power she still can’t read—or trust. His help comes at a price, however, plunging Barrie into a deadly maze of magic and wonder, mystery and intrigue that leads through history to places she never imagined she could go. I want to thank Simon Pulse for providing me with an ARC of this book to read and give an honest review. Receiving this book for free has in no way altered my opinion or review. If you haven't read the first or second book in this series, what are you waiting for? Need something totally different? A paranormal thats just a bit off the beaten path? A ghostly story that also has a the feel witchy powers? This is the series for you! But if you haven't read the first two books, I can't promise there won't be spoilers from those in this review, as they really do need to be read before you can understand what's going on with this one! So GO BACK! I will say, writing a review for a third book in a series without giving any major plot twists away is hard! But, suffice it to say, I think I can give you a nice overview of my thoughts without letting you know exactly what you're in for with this conclusion. Of course the story picks up where Persuasion left off. Eight has isolated himself from Barrie for her keeping his secret and neither seems to be able to escape their curse of being bound to their respective homes. Which also means they are destined to be apart, or are they? Their only hope is Obediah but can he be trusted? I will say having trust in a 100+ year old man was hard for me and has been since he was introduced. His agenda was never very clear. Which I know was what Boone intended. I'm pretty sure she wanted you to feel unsure of just where his loyalties stood. And you could feel this rift in Barrie, and especially in those friends and family surrounding her who love her and don't want to see her, or anyone else, get hurt. We see the return of all our favorite characters with this book: Berg, Eight, Seven, Pru, Mary, Daphne. And some we're not sure we can love so much: Cassie, Obediah. We even see the some characters who we might not have been expecting to see! But we don't see anyone new introduced. It was nice to see the wrap up happen for all these characters. The conclusion to their unexpectedly magical and scary summer! The book continues with it's southern gothic charm. Boone absolutely did her research when writing these books. While it takes place in North Carolina, I get this Lousiana feel when I read it. Maybe because Obediah almost reminds me of all those shows I've watch on TV with the "voo doo" men and women! Either way, Boone definitely transports you to a world outside of where you are. Eight and Barrie continue to have that push and pull romance that I have come to adore with this series. It's not over the top love at first site but more of a longing and need and pull to be together because there is just no way they can be apart. But is this even possible with their curse and bindings? Well, I guess you'll just have to read the conclusion to find out! Boone does a nice job of wrapping up all the story lines in this series. I wasn't left worrying about anyone and what was happening to them. The mysteries of the island come to a head and the explanation of the Fire Carrier and the bindings is revealed. A perfect finale for this series! 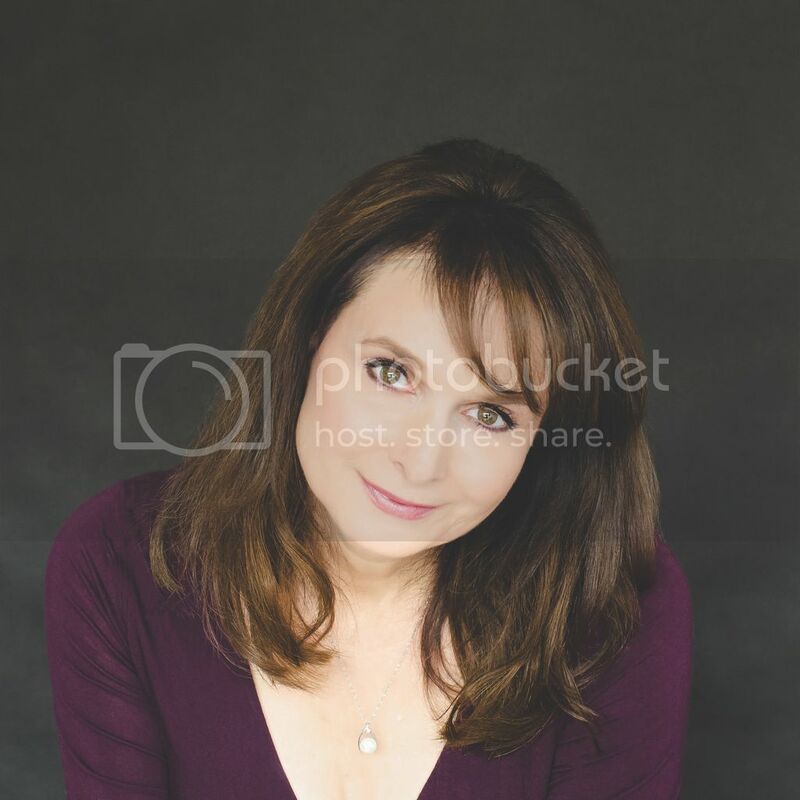 ABOUT MARTINA BOONE: Martina Boone was born in Prague and spoke several languages before learning English. Her first teacher in the U.S. made fun of her for not pronouncing the "wh" sound right, so she set out to master "all the words”—she's still working on that! In the meantime she’s writing contemporary fantasy set in the kinds of magical places she'd love to visit. 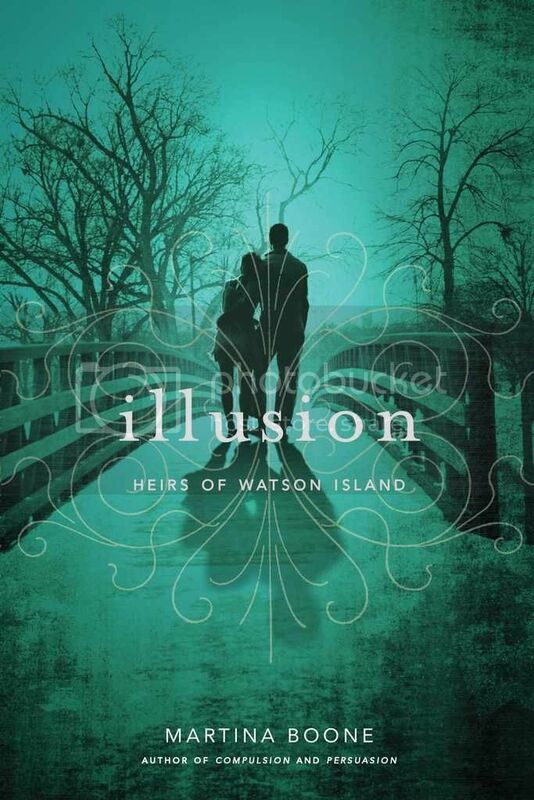 If you like romance steeped in mystery, mayhem, Spanish moss, and a bit of magic, she hopes you'll look forward to meeting Barrie, Eight, Cassie, Pru, Seven and the other characters of Watson Island. What a wonderful series! Thanks for a chance to win them all! My bookshelf would be complete with the series on it. Love the covers.